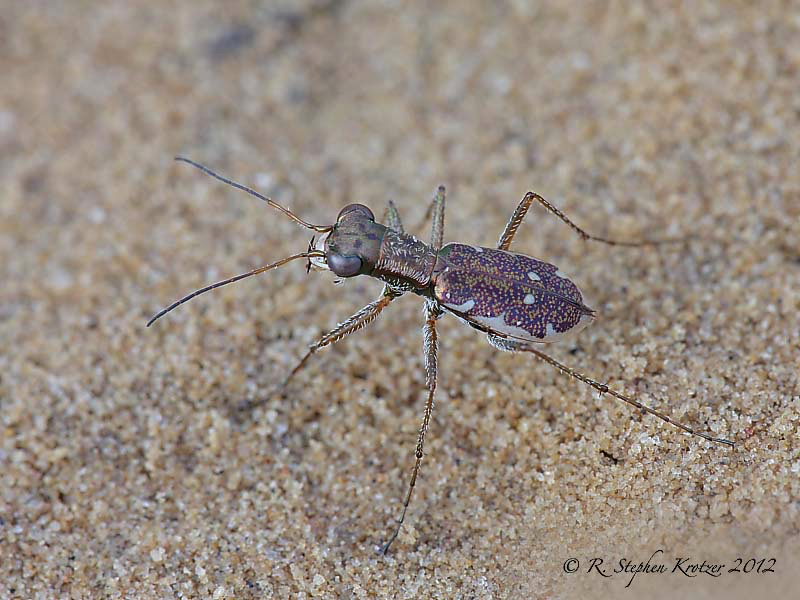 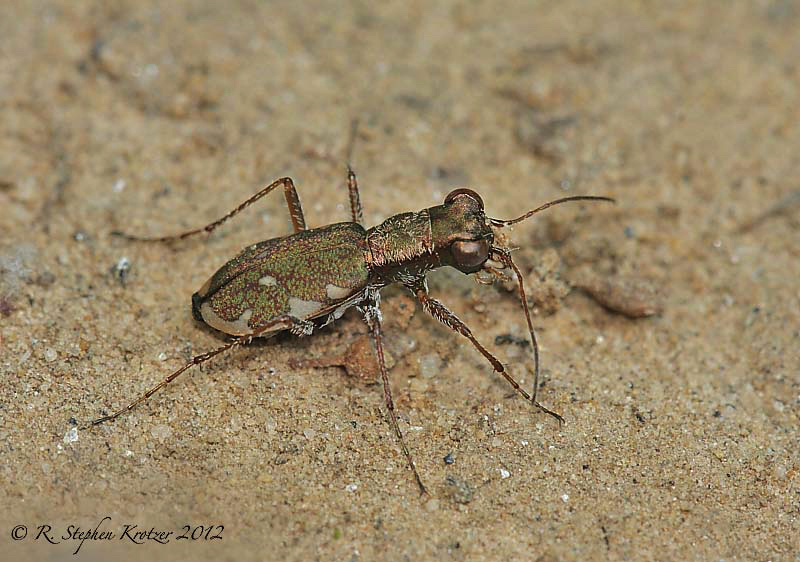 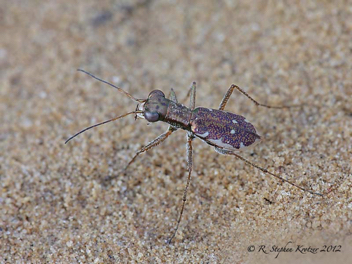 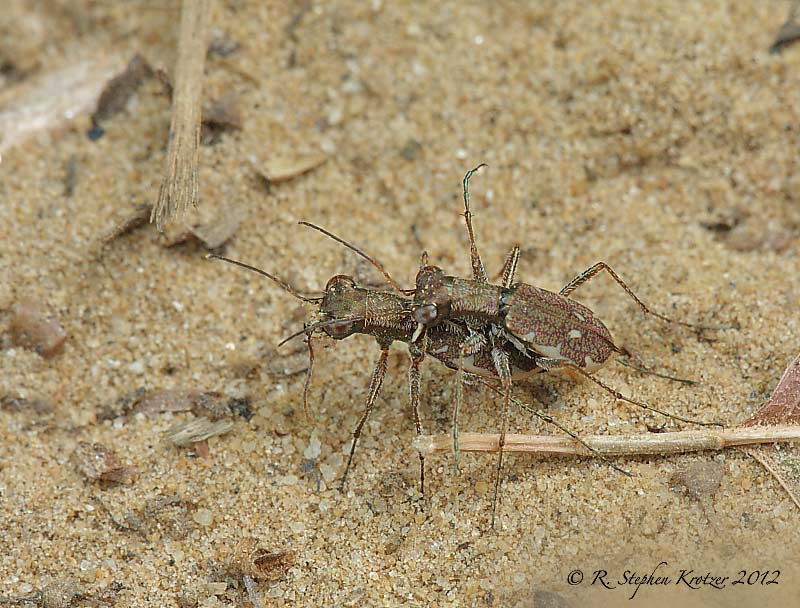 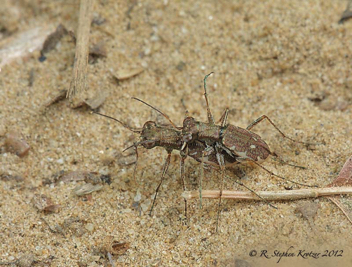 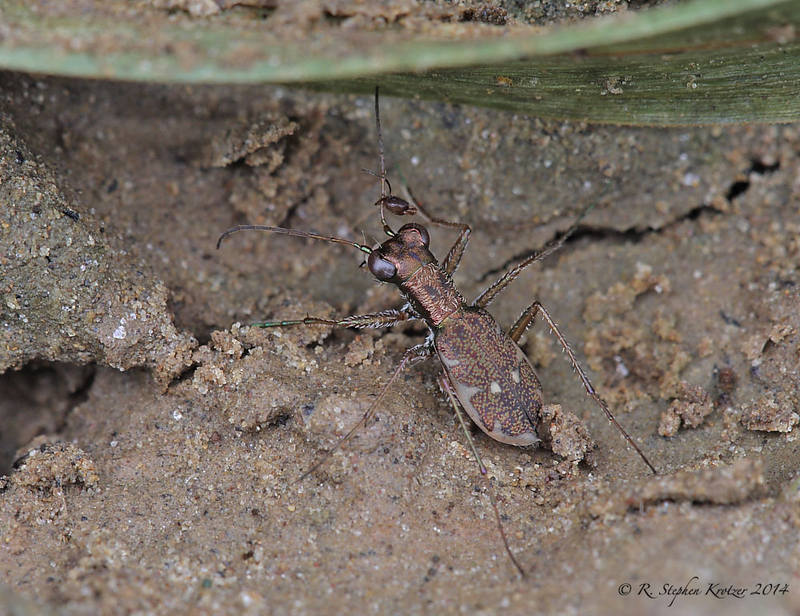 Cylindera cursitans is the smallest tiger beetle in Alabama and Mississippi. 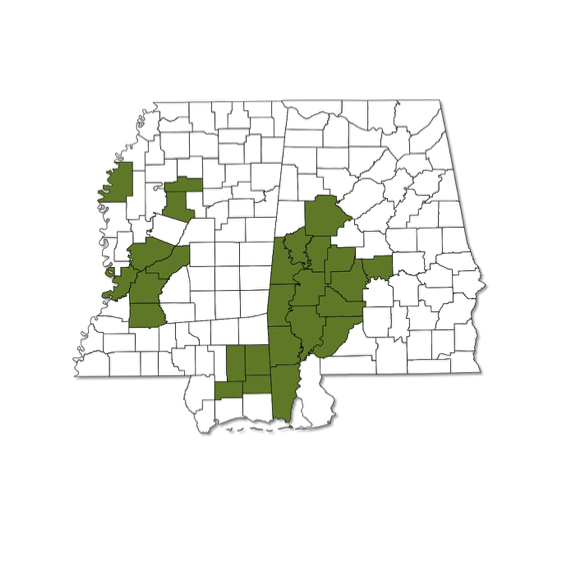 It occurs in widely scattered, localized populations, usually near a stream or river. 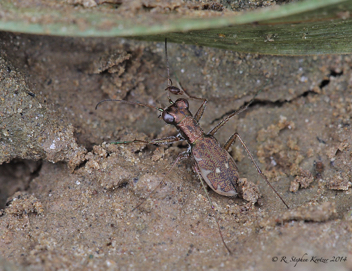 Generally believed to be flightless, its tiny size and habit of hiding at the base of vegetation make it very hard to spot. 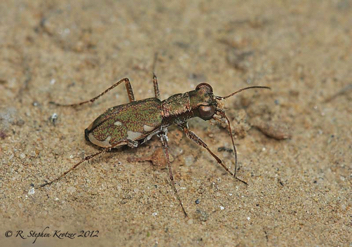 This is a summer species, with most observations occurring in June and July.